Are you suffering from hair loss like me? My hair has gone through numerous colours, bleaching, rebonding, and perming.. making it weaker now. 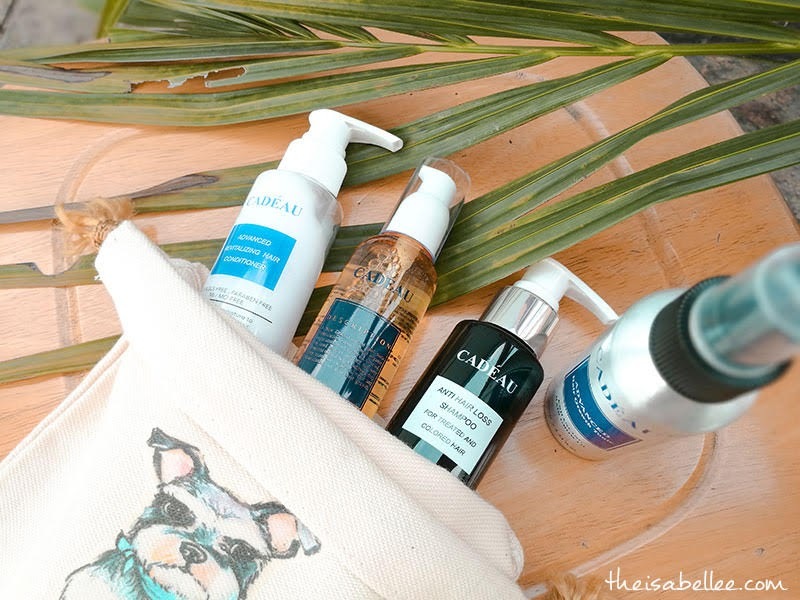 I have tried many hairfall shampoos in the past but from experience, many drugstore brands don't really help with hair fall or stop working after a while. 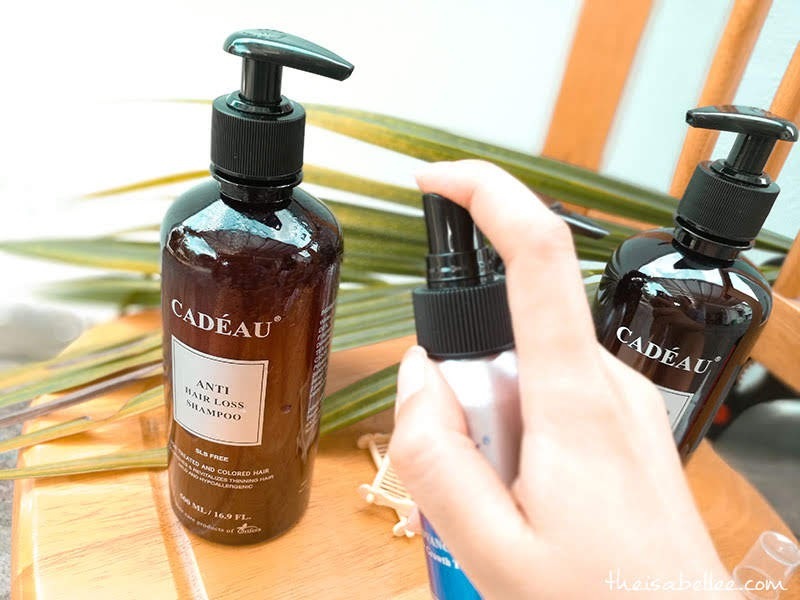 I was then introduced to Cadeau and decided to try it after reading some positive reviews online. This Cadeau Anti Hair Loss Shampoo is meant for treated and coloured hair - perfect! Quality packaging with proper nozzle and sturdy bottles. 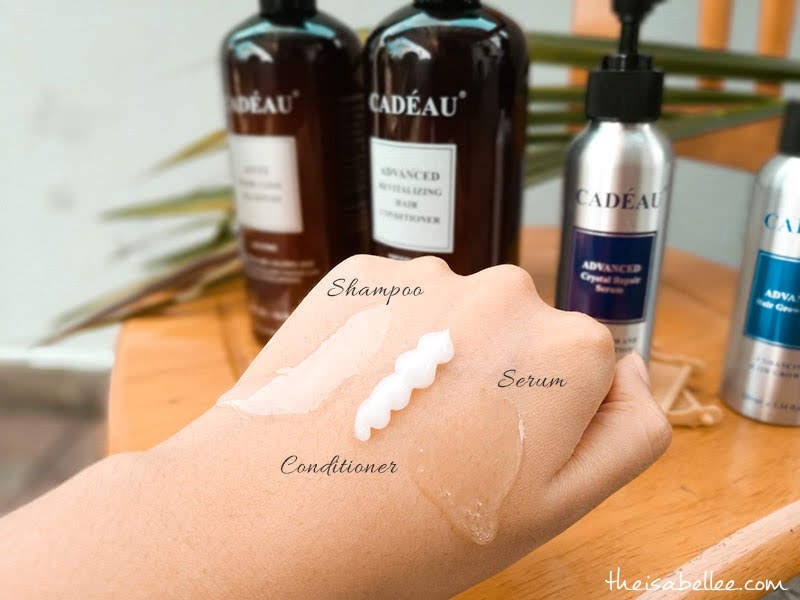 For my hair length I need 3 pumps of the Cadeau Anti Hair Loss Shampoo. It lathers really well and effectively removes dirt and sebum from my scalp. I don't get buildup that clogs my scalp too. Even though it cleans well, my hair is strangely very soft?! Does thin hair still need conditioner? Yes! 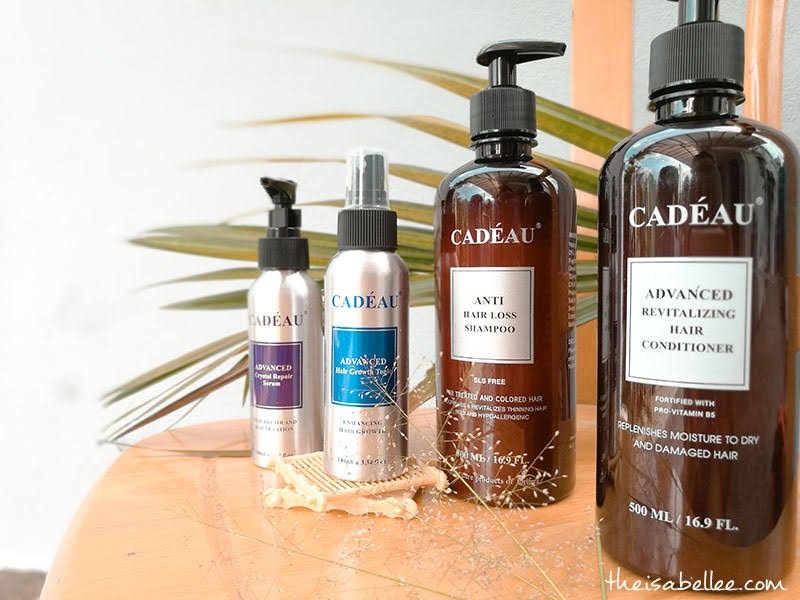 It is important to find a conditioner that does not weigh your hair down - Cadeau Advanced Revitalizing Hair Conditioner is a good choice. Hair remains fluffy and soft especially when paired with the shampoo. It replaces vitamins and essential oils that our hair and scalp lost during the process of shampooing. 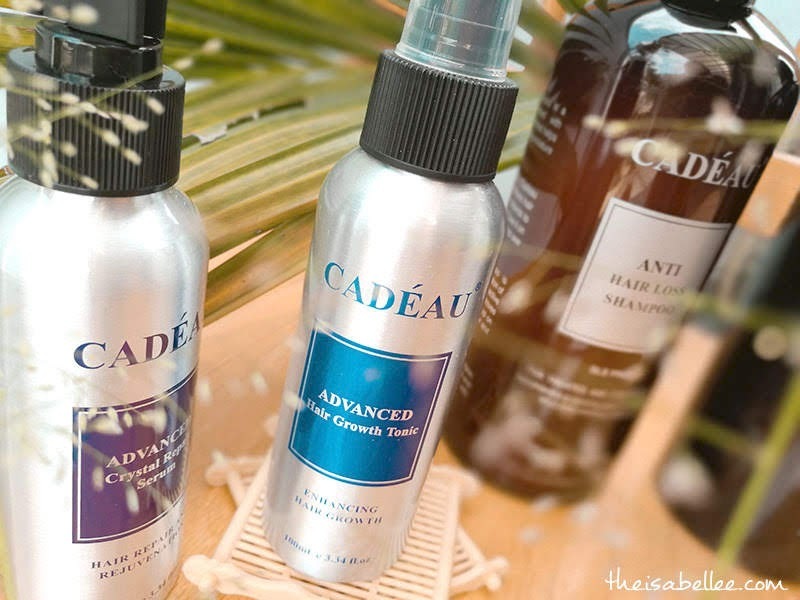 Twice a day, spray your scalp with the Cadeau Advanced Hair Growth Tonic. It is specially formulated to help nourish and strengthen hair follicles, reduce hair fall and promote growth of new hair. 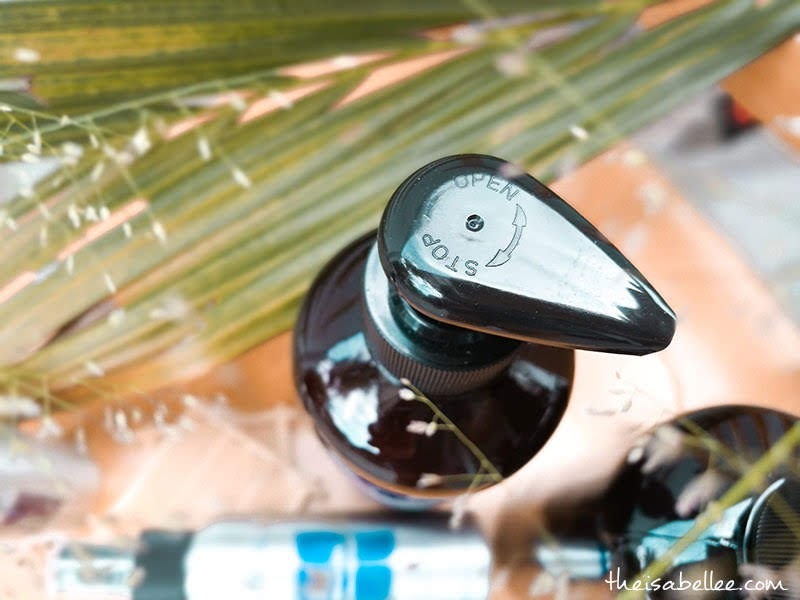 The spray produces a mist that is easier to control than pouring liquid in your scalp. Massage it in and feel how the cooling sensation relaxes your mind. 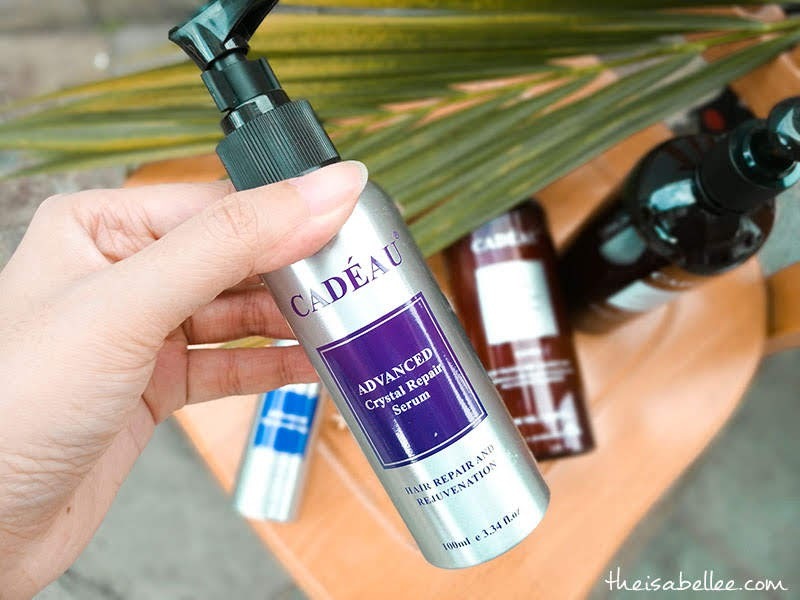 For days when I feel my hair needs a little pick me up, I apply a little Cadeau Advanced Crystal Repair Hair Serum. It is formulated with silicone, ceramides and amino acids to make your hair smooth, frizz-free and shiny! Only a small amount is needed and it won't make your hair look oily nor heavy. 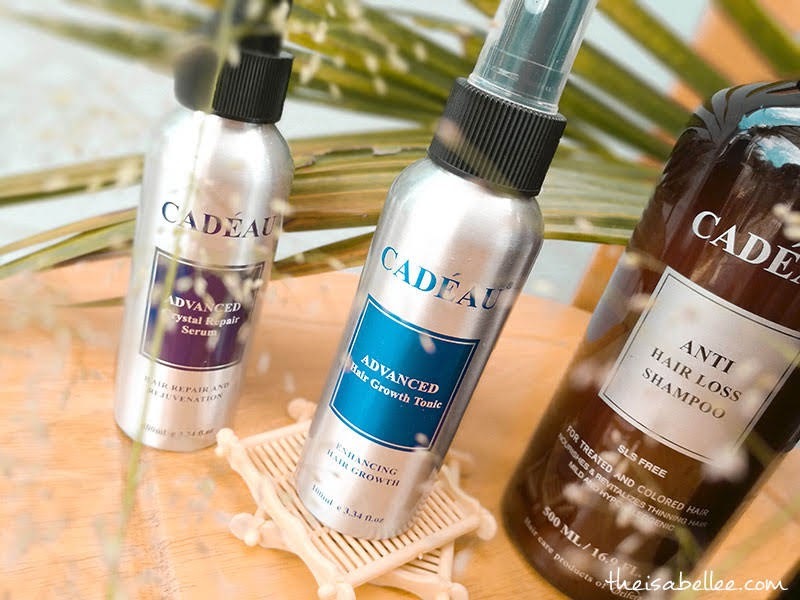 The Cadeau shampoo and range are also available in travel sizes!! I'm so sick of using hotel products that kill my hair. I will be bringing these along on my next trip! 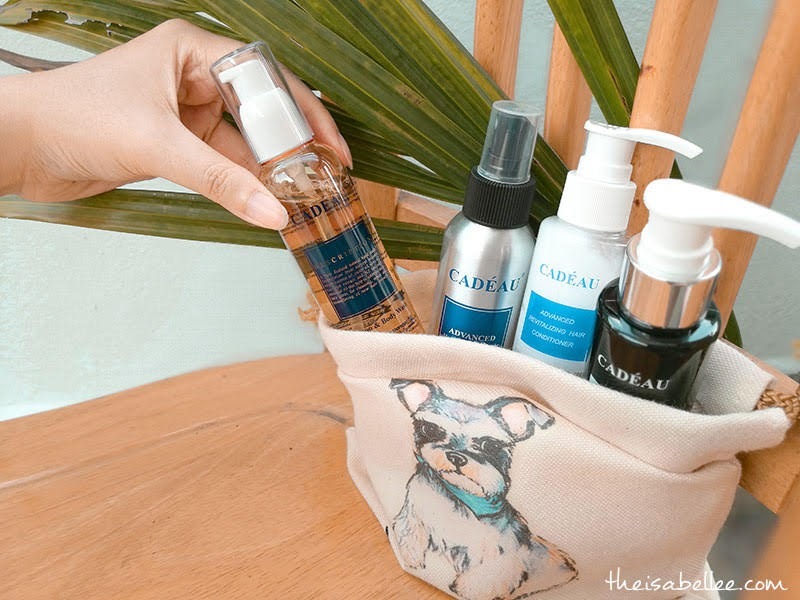 Interested to check out Cadeau products? Call 013-301 9203 or drop them an email at healthybearbear@gmail.com! Setuju, usually syampoo yang selalu dijual tak dapat atasi pun masalah rambut. Memang kena spent untuk dapatkan produk yg betul-betul efektif untuk penjagaan rambut. Packaging menarik dan simple yet nampak eksklusif. Suka kalau syampoo wangai yang tahan lama. Neever heard about this product before this. It’s good to know it works on your hair. 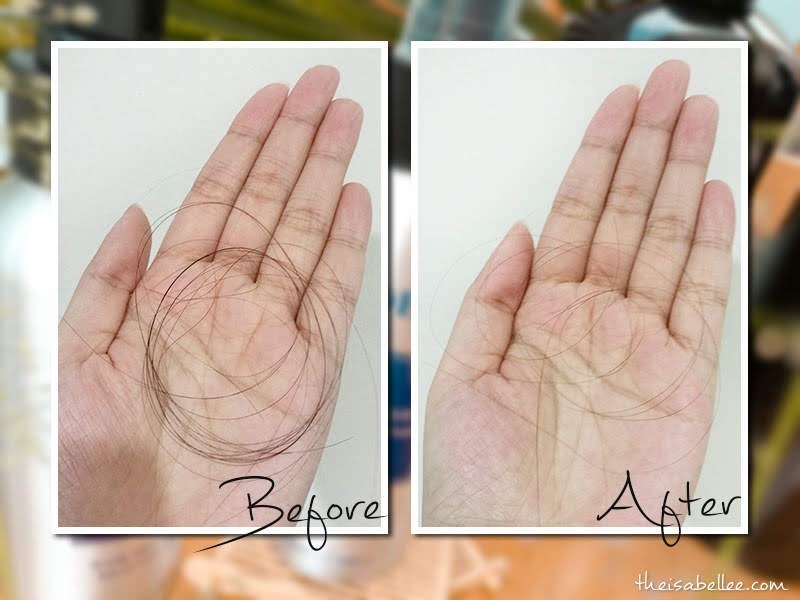 Reduce hair fall! I had the same problem too. Hair fall since my baby born. So frustrating. Maybe i can use this products next. I bet many are looking for an effective hair loss shampoo that will benefit from reading this testimony. I love the packaging - looks chic and trendy too. From the various testimonies, I believe it's a good product.